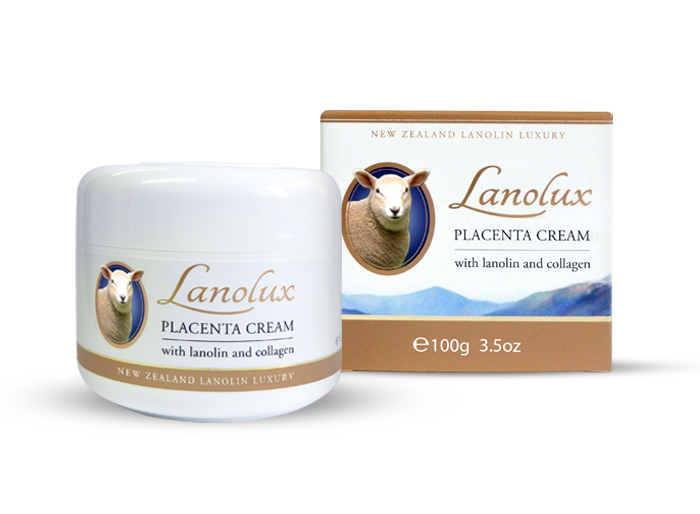 Fight the signs of ageing with this luxurious cream from the Lanolux range. Imbued with the rejuvenating properties of Plant Placenta, this cream also moisturises the skin to keep skin healthy and radiant. Employing the natural properties of Plant Placenta, which contains important amino acids to stimulate the skin’s cell regeneration, it works to help keep skin firm and supple, thereby lightening the visibility of fine lines and wrinkles. This results in skin with smoother texture and an enhancement of skin radiance for a younger, more even looking appearance. Additionally, the cream’s formulation include Collagen to help maintain skin elasticity, Lanolin to deeply moisturise and protect, and the anti-inflammatory properties of Manuka Honey to cleanse the skin and promote natural healing for extra beneficial properties. Apply to the face and neck day and night to nourish, protect and help restore youthfulness to the skin. Plant Placenta is a safe alternative to animal placenta, with beneficial moisturizing and plumping effects. It contains amino acids to stimulate and increase the protein synthesis and oxygen intake of skin cells, causing them to regenerate like younger cells and further rejuvenating skin. 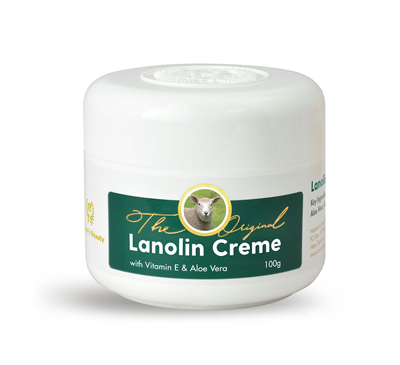 Lanolin is known for it’s intensive moisturising and protective qualities. It penetrates the skin deeply to hydrate, while also creating a protective barrier on the skin’s surface to prevent moisture loss while still allowing the skin to breathe. Collagen helps maintain skin elasticity, and has been shown to reduce the depth of wrinkles for firmer skin and a more youthful appearance. Aqua (Water), Aloe Barbadensis (Aloe Vera) Gel, Paraffinum Liquidum (Mineral Oil), Glycerin, Glyceryl Stearate, Cetyl Alcohol, Polysorbate 60, Isopropyl Myristate, Aqua & Propylene Glycol & Hydrolysed Soy & Aloe Barbadensis Extracts (Plant Placenta), Lanolin, Phenoxyethanol, Leptospermum Scoparium Mel (Manuka Honey), Diazolidinyl Urea, Ethylhexylglycerin, Hydrolysed Marine Collagen, Fragrance.